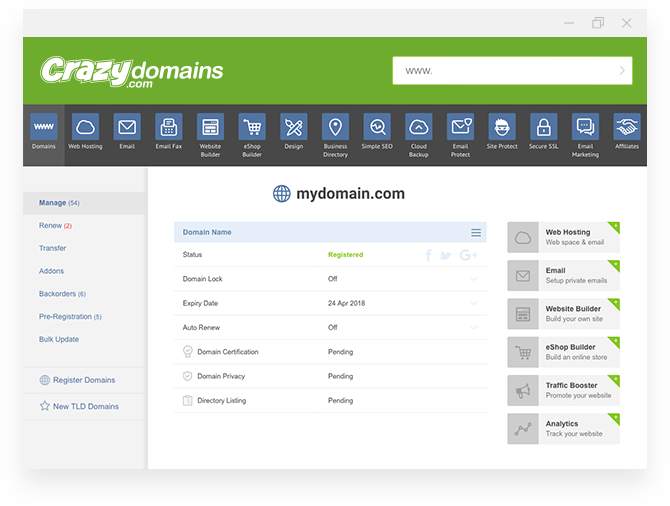 Take complete control of all your domain names, products and services with our friendly easy-to-use domain manager. Promote your domain name and be found by MILLIONS of daily searchers. Recommended for all business domain names.